Recently, I’ve been receiving some questions from my facebook friends about our Ilocos trip. I got questions like, where to go or what to do in Vigan City, Whats in Laoag? How was Pagudpud? Where did you stay and how much did your trip cost you? Questions that are commonly answered by searching the web though it’s better answered by someone you know and trust. The other day a friend asked me if I was able to keep my Ilocos tour Itinerary and if she could borrow it for their planned holy week and summer vacation. I said yes and also decided to share it to everybody. I haven’t posted an itinerary ever; the reason is because I don’t think I am good in doing one. Also, our travels are quite long – like this trip which was a 6 nights-7 day’s trip. 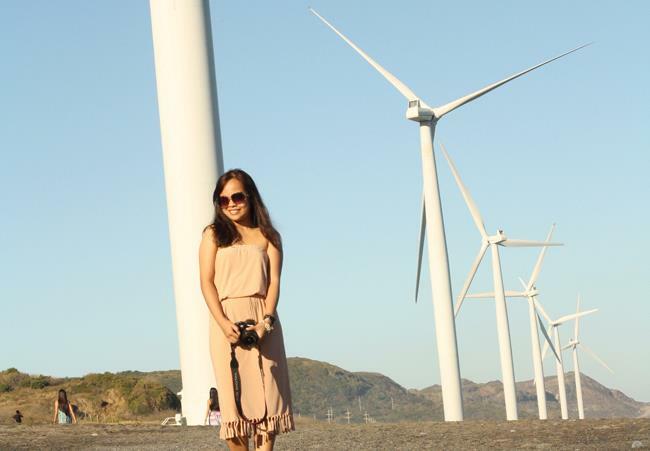 Anyhow, I am sharing this week long Ilocos tour – a mixture of guided and DIY tour. You can break it down by city if you wish since the per-city tour only took a day which you can (technically speaking) finish the entire trip within 3 days and 2 nights. Remaining days of our trip was spent for relaxation which is one of our top most goals why we travel. 9:00 AM - 10:30 AM Fixing for day tour and breakfast at Kuya Glenn's house. 6:00 AM - 8:00 AM Woke up and prepared for check-out. Breakfast. 10:00 AM - 11:00 AM Check out and went to the City to send home some excess baggage via LBC. 6:00 AM - 7:30 AM Woke up and prepared for check-out. Breakfast. 6:00 AM - 9:00 AM Woke up and prepared for check out. Breakfast. 9:00 AM - 10:00 AM Prepared for Check out. Php 8,195.00 though it may sounds great for 7 days-6 night’s tour which includes airfares, tour fees and foods; this expense doesn’t include personal expenses like the souvenirs, extra foods and tips. For cheaper options, I would suggest that you go in a large group. Travelling in a smaller group could still be cheaper and less expensive if you are going to do a DIY itinerary that usually requires a lot more time because some destinations are quite far from each other. Commuting will take quite of your time, which you might end up missing some spots that you want to visit. Hope that this detailed itinerary helps you lighten your planningJ. Hi! Was Christopher (Teri) Respicio your tour guide in Pagudpod? Do you happen to have his contact number? Hi Ydel, sorry natagalan :-) eto po yung number ni kuya teri :-) +63999987966. Hi! thanks for the catch and sorry for the mistake. Kinulang ako ng 7 :) eto yung buo +63 999 987 9667.
hello there! Is it possible to have a Vigan-Pagudpod Tour for 1 day? I mean lahat ng nakalist on Day 3 and Day 5 all in 1 day, kahit lesser time nalang on each place, we will be coming from pagudpod so yung van's route is Pagudpod-Vigan-Pagudpod. If yes, can you help me figure out the itinerary for that day? Thanks for your help! Hope that helps :) ask ka na rin sa driver nyo he might have better idea. Happy trip!!! Hello  andami nyo, I bet masayang joyride yan! Kung iniisip mo kung mag eenjoy kayo, masasabi ko is depende, kasi kung close kayo at pareparehas kayo ng trip mag eenjoy talaga kayo with or without a tour guide. Kung tinutukoy mo naman is kung maeenjoy nyo kaya yung destination. I would also have to say na dedpende sa trip nyo kasi kami medyo bet naming yung informative na trip. Mahirap kasing mag appreciate ng mga bagay bagay kung hindi mo alam kung ano yung mga what abouts nito bakit sya dinadayo gaya ng Sta Monica Church. Pero may mga spots naman na hindi kailangan ng tour guide meron din iba na may sarili silang guide gaya ng Juan Luna Shrine. Yung sa Blue Lagoon naman yung spots sa loob nito is yung dos hermanos lang. The rest madadaanan nyo on your way bago pa mag blue lagoon – pero nothing to worry kasi halos lahat naman walang entrance fee (yung kapurpurawan may fee din ata 20 sa naalala ko). Hope that will help :) happy trip! HI, do they have a landline? can i ask for it? thanks.. Yes it is cheaper but that is if you travel with a group of at least 10. What I like about this tour by Christeen is they were able to get a low fare airfares and also they spread out the tour in 7 days which makes it less hectic than the usual 3D/2N trip. However using van for traveling is more comfortable especially going in between towns. And of course, it is cheaper with a group of 10 or more. Riding a trike is a great alternative nevertheless. Welcome dear! Now that Vigan won in the New7Wonder Cities of the World, many more people will flock to Ilocos. For sure tour prices will get higher. Hi, We are a group of 4 foreigners students from Manila planning for a 3-day tour Vigan-Laoag-Pagudpud. We plan to take the Sleeper bus from Manila to Vigan/Laoag roundtrip. We plan to leave Manila on friday evening and be back by Tuesday morning ( for our classes...hehe). It would be great if you suggest an itinerary for us. We are a bit budget conscious (of course...being students) but we were also discussing whether it would be better for us to rent a van in Vigan/Laoag/Pagudpud for the 3days tour or have a DIY trip on tricycles and Jeepneys. If I were you, I will definitely choose to rent a van on that way I can exhaust my time. It would be the best way to visit as much places (tourist spots) as you want without exerting too much effort that might drain your energy for Tuesday class =). This way you might be able to also spare yourself from unexpected expenses. Friday Night: Sleeperes buss - Manila Pagudpud (around12-13 hours). Click here for schedule and contact number of bus company. Saturday: Pagudpud rent a tricycle or van for another tour. Sunday: Pagudpud - Laoag (2.5 hours by bus). Laoag can also be toured using a tricycle but you “might” miss some other destination. Monday “EARLY” morning: Laoag-Vigan (2.5 hours by bus). In Vigan you can rent a tricycle (around Php400-500) or Carriage (around 800). Vigan-Manila via regular buses, safest travel time allotment is 8-10 hours. pag ba ung mga tour packages, ksama na ang transportation doon sa mga destinations (from terminal to hotels, from hotels to tour spots - vigan, laoag, pagudpud and back to hotels then hotel to terminal)? or kanya kanyang commute sa public transportation kasama ang tour guide which means ang pamasahe ay hindi pa kasama sa tour package na binayaran but from ur pocket (ikaw rin ba magbayad pamasahe ng tour guide na kasama)? mayron bang kasama pang ibang tourist sa iteneraries ng tour packages. who arranges timing ng iteneraries? thanks po. Hmmmm kung Pagudpud lang then it’s okay - kasi it’s a very affordable place naman. accommodation can range from 500.00-4500.00 per night for both of you. The tour ranges from 800-2500 depende kung van or tricycle. Food ranges from 50.00-600.00 per meal depende sa food house. hi madam!i am marlon tour guide in pagudpud asking permission to post my number on your blog.call me at;09302845897,09067960934.tricycle,van for hire,accomodation in saud,and in blue lagoon.all rates negotiable.try my services in a very low low prices.honest and very accomodating tour guide.you can also give your comments sa blog ni bebe phase,go for the north.thank you madam. Hi, we'll be in Laoag on Nov 19-23.
can you give me sample itinerary, maximizing north tour? also some budget hotels, we're a couple and one 14-year old son. thanks a lot! You have an ample time, so I guess you can follow the Day2, 3, 4 and 5 of my itinerary in any order. Hi! May list ka rin ba kung saan pwede kumain near Saud beach resort? hi.. what would you suggest na itinerary if we plan to go 9pm (from cebu pac promo. hihi) of jan 14 up to jan17 pm? thanks. 2pax lang kmi eh..
Hi.. We're planning to go to ilocos. Would it be possible for us to tour pagudpud-laoag-vigan in just 2 days... We will not avail a tour package.. Is it cheaper that way? Can u suggest an itinerary? Tnx so mch for ur help..
Hi... may mga van for rent going to pagudpod ba along vigan? and how much is the estimated budget? We booked 8 days stay at Casa Consuelo. Manggagaling kami sa Sagada. We are planning to explore Pagudpud on the 2nd to 5th day, then relax on the 6th till we go back to Manila. Can you suggest an itinerary that will cover Vigan Laoag and Pagudpud? Pano ba pumunta sa Casa Consuelo from Laoag? Hi..can you please help me..ngpplan kz kme ng friends ko ppnta ng laog at pagudpod this coming holy wik..blak nmn webes santo ng gabi aalis s manil.bus lng po kme huh.blk nmn 2days and a nyt lng kme dun..please give itinerary pgpnta dun.need p po b nmn ng tour guide?kung meron keu kkilala n tour guide bgyan you me ng contact sa knya tnx..uhm pede budget friendly dn po huh tnx. Hello po, May I kindly post my tour package(ilocos, baguio, anawangin,calaguas)ads here in your reputable blog. hi there!! !can i ask you your contact nuber,,coz we are planning to go there this summer..but we want the tour for 3days and 2 nights only,,thank you!! Hi there! Thanks for your informative blog. I and a colleague plan to undertake an Ilocos tour this coming 15-18 May 2014. If the flight from Manila arrives and leaves Laoag as scheduled, we will actually have 2 half days (Thursday and Sunday) and 2 full days. We'd appreciate suggestions on places to visit given our schedule. Kindly note that our interest are historical sites and old churches and similar architectural places. Thanks in advance for your suggestions. thanks for dropping by, you may follow my itinerary for days 2,3&5 :) enjoy and have a safe trip! Hello! Is it possible to have a tour of vigan laoag pagudpud in 1 day? We are planning to have a trip on May 2st etd 7pm what is the possible eta? We are riding a car. We want to stay long in Pagudpod thanks in advance! Hello! Good day! We're planning to visit vigan laoag pagudpud on May 22 is it possible that we can have a day tour on that day we are leaving manila at May21 8pm what is the possible time of eta? We'll be riding a car thank you in advance! Hello :) Sorry this was late but just incase you still haven't have the idea, kuya glenn is our tour guide that time, for cheaper option we stayed at his place too. You may get all his details and the accommodation he offers on the link below. Hi Christeen, Can you recommend itinerary for vigan-laoag-pagudpud? We will arrive vigan 7AM, Friday and will depart Saturday night going Manila. I appreciate your help. Thanks! Hi! you may utilize my Day 2,3 and 5 itinerary, just pick the places you'd love to prioritize since I don't think it would all fit in that short trip. You may also get a tour guide to make the most out of your time. kasama na po kasi yun sa 1,500.00 na ticket price ng MNL-Laoag :) Roundtrip kasi nabili namin. Hi! may masasakyan pa po ba na jeep or tricycles from Laoag Airport to city proper ng 10PM? Is it still safe ng ganung time? Baka po kasi walang pick up from airport yung makuha nming accomodation. Thanks! Hi!! Please check the link below for kuya glenns details. may FB account kaya si Sir glen para ma-message ko? yes, his contact details were here. Ang galing talaga ng pagkakapresent mo ng information about Ilocos dito sa blog mo. Even a travel agency like us, have learned so much about it. Two thumbs up and keep up the very good work! Maraming salamat sa pag share mo ng Ilocos itinerary mo. Laking tulong nung mga infos sa trip namin ng family ko next year. May query lang ako, upon arrival nyo sa Laoag airport, included na ba yung transfers from the airport to Laoag Homestay? Worried lang ako kasi may makaka sama ako na elderly and medyo late na din arrival ng flight. Hi, your welcome po :) its always my pleasure to help other travelers. Ok lang ba to visit Vigan 1st then Paoay and Pagupud? My family and I will take a 6 days vacation in Ilocos. Hi :) Yup that's South to North magandang idea po yan :) happy trip sa inyo!! hi! great help po yung nishare mo na itenerary. any suggestion po for early january trip for 3-4 weekdays trip? Yup, I believe you can stay there, check mo lang if me vacant since marami din nagpapatour sa kanya. then for the tourist spots, I've noticed that most of them are far from each other which may take time if your not in a guided tour. hmmmm I haven't checked if they do pick-up from Laguna :| but you may contact them directly. I can only suggest for kuya glenn since sya lang yung na try naming. But I've heard a lot na same na rin yung service :) I cant guide you to specific nga lang. Hi ate, okay lang ba sundin yung itenerary mo po from day 2 to day 5 if 3D/2N kami dun kay sir glenn? And wer planning to take GV ng Feb 26 ng gabi then Feb27 ng morning namin gagawin yung Day 2 itenerary mo? :) Pwede po kaya yun? Wer couple po :) Thanks! Hi Khim :) yes that's fine. Just make sure to be very timely para hindi kayo magipit sa oras. Enjoy your trip! Be safe! Hi Christeen, me and my husband are planning to visit laoag, vigan and pagudpud for 5days but without tour guide. Paano ung transpo going to other places and magkakalayo ba ung tourist spot? Sa travel agency kc 3days 2nights lang. thanks! hell :) It would be hard not to have a tour guide because spots are far from each other. There are tricycles thought that you can hire. Hi Christeen, me and my husband are planning to visit laoag,vigan and pagudpud for 5 days but without tour guide. Paano ung transpo going to other places and magkakalayo ba ung tourist spot. Sa travel agency kc 3days 2nights lang. thanks! Hi miss! Thankyou for your very informative blog! anw, It is a big help for us tourism students. I just want to ask, I was assign to make a travel package to ILOCOS and im wondering if 3500 would be enough for the budget in the said package? (With transpo from manila by land, Entrance fees, Accommodations na hindi masyadong mahal,special interests) Im still not sure with the meal kung kaya mainclude. Pls reply. Your advice would be a big help. Thankyou again! More travels for you this 2015!! Hi there! Ask ko lang po if saan kayo nakakuha ng trike para sa vigan tour? And we'll be traveling this july, 3D2N coming from Cebu. IT sana namin is we'll arrival in MNL sa morning. Take the 8am trip of farinas transit going to ilocos. Overnight in vigan to experience night and day there. Vigan tour saturday morning (just like where you went to). Travel to loaog after (same day, saturday). Overnight in loaog. Sunday morning, travel to Bangui windmill then travel back to MNL. Kakayanin kaya? Hope to hear from you soon. Thanks! Hello :) dami trike sa Vigan, lahat ng bumibiyahe dun ata are all offering tours eh. regarding your planned route i guess kaya. mag hire nalang kayo ng tour guide for Laoag and Pagudpud to save time :) hope that helps! Hi there! Ask ko lang po paano kayo nakakuha ng trike para sa vigan tour? And do you know if mga ilang oras byahe from vigan to laoag? Hope to hear from you soon. Thanks! Ask ko lang po if you have another contact number for Teri Respicio. also, wud like to ask if may transpo from caparispisan to balaoi pagudpud. stay sana kami sa caparispisan side then visit hannahs for day tour. cencia na for my numerous requests kasi very first time namin family ko mag travel sa Ilocos. I would just like to ask, do you know any decent van rental good for 8 persons from manila->ilocos destination? may balak po sana kami ng boyfriend ko na mag-backpacking sa ilocos ng 3 days and 2 nights this coming holy week. vigan, bangui and pagudpod. please help me with the itinerary ung swak lang sa budget and travel by bus. from manila lang kami. please reply. :) thank you! Thailand tour packages from Chennai is one of our special trip we are into. Our BEST Thailand package tour suits for all Individuals, Couple and Families. Hi nice blog! Very informative and detailed..
Hi po.. would like to ask your tour guide's contact details. Thanks po! Hi maam teen,have a nice time.😊pa post po.I'm Jomar Villaluz from blue lagoon beach,Pagudpud. Hi Teng, Me and my Fiance are planning to travel in Ilocos, nabasa namin itong blog mo. I was wondering what you can suggest like best places in Ilocos :). We are planning to ride on a bus with our own trip para mas solo namin yung time. Looking forward to hear something about your suggestions. Kindly send it to my email if possible. mikko.noznab21@gmail.com Thank you! God bless! I just could not leave your web site prior to suggesting that I actually enjoyed the usual information an individual supply to your guests? including me. Keep up the good work - for sure i will check out more posts. Excellent site you've got here.. It?s difficult to find high quality writing like yours nowadays.